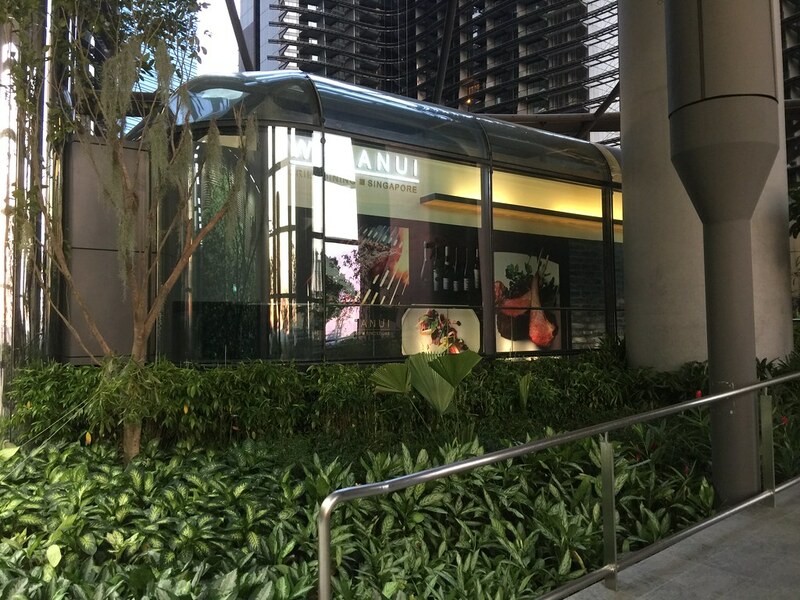 It seems like there is a new trend of grill houses opening in Singapore and one of them is WAKANUI Grill Dining located on the level 4 of the new Marina One complex. The restaurant is situated in a stunning glass structure on the fourth floor of the West Tower offering New Zealand Ocean Beef and Wakanui Spring Lamb which are grilled over Japan-sourced Binchotan charcoal. It also offers New Zealand seafood, such as Ora King salmon, New Zealand-sourced sashimi-quality fresh fish and green lip mussels, and other seasonal produce and dairy products imported from New Zealand. 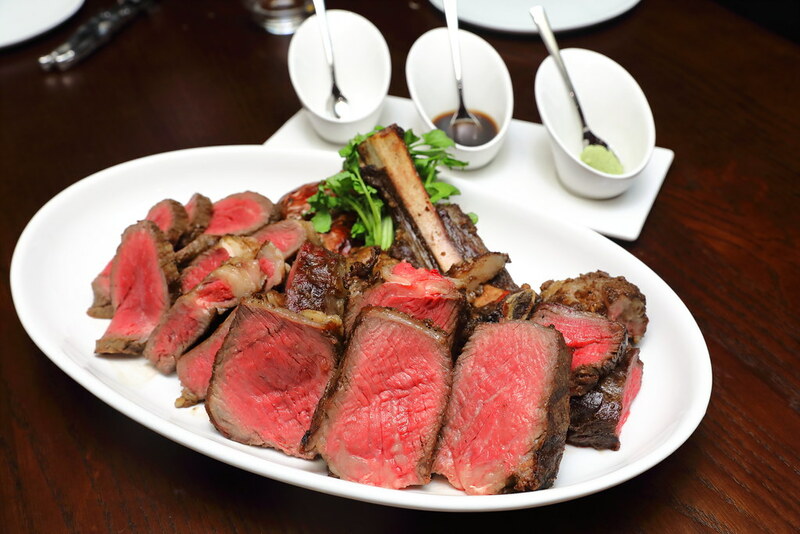 Wakanui is not only known for their beef but they are also popular with their lamb. 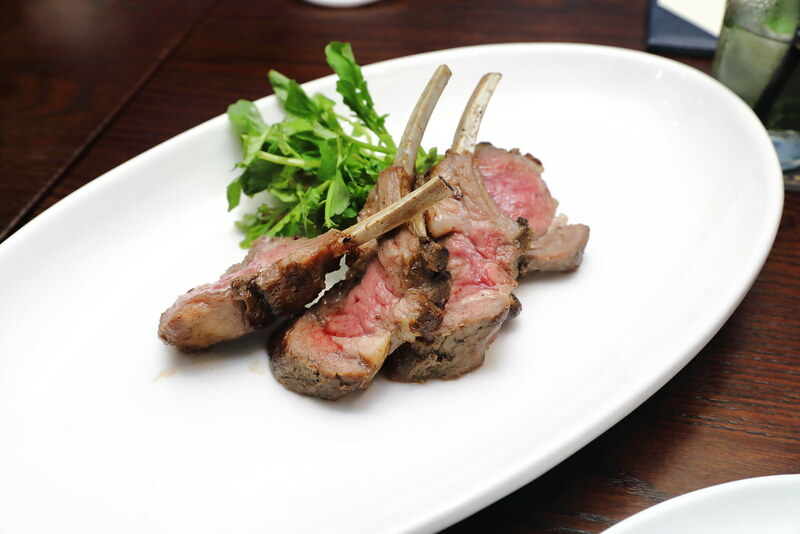 It is so popular that it opens a lamb specialty restaurant in Japan. 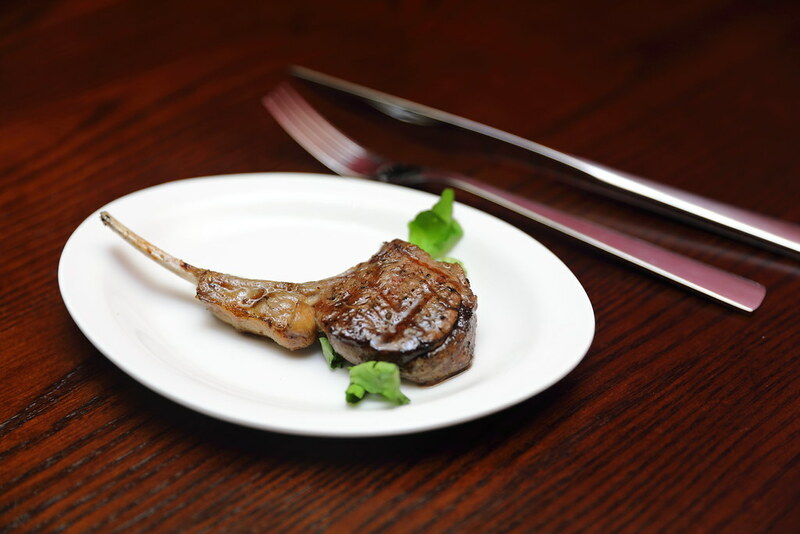 The WAKANUI Spring Lamb Chop ($8/pc) uses lamb that is born in late winter/early spring, raises for 4-6 months and aged for around 4 weeks. The lamb chop was very tender and juicy. The flavour and texture was really top notch. This is probably one the best lamp chop I have eaten and you don't get that gaminess at all. 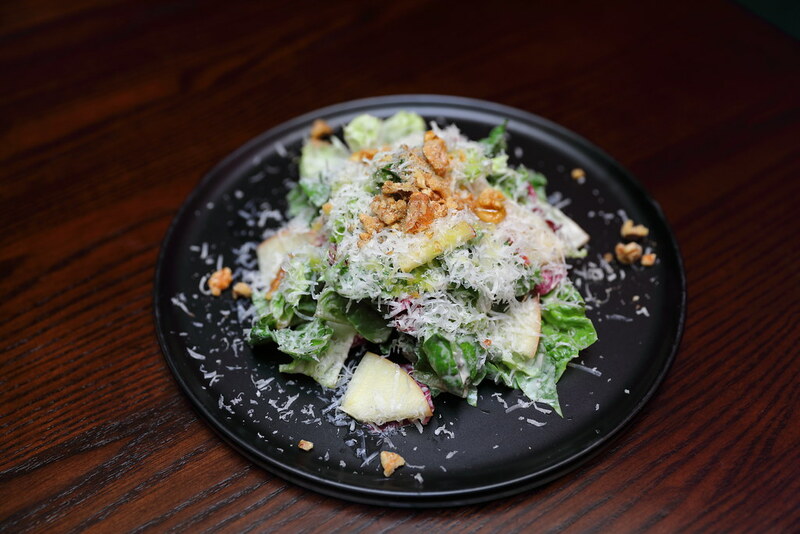 The Kikorangi Blue Cheese Caesar Salad ($22) comes with a medley of New Zealand Romaine lettuce, jazz apple, walnuts tossed with Kikorangi blue cheese. It is then topped with shaved parmasen and walnuts. For those that is worried about the strong flavour of blue cheese, you will not get it here as the blue cheese dressing is made of a blend of Italian anchovies, whipped cream, a touch of salt and extra virgin olive oil. 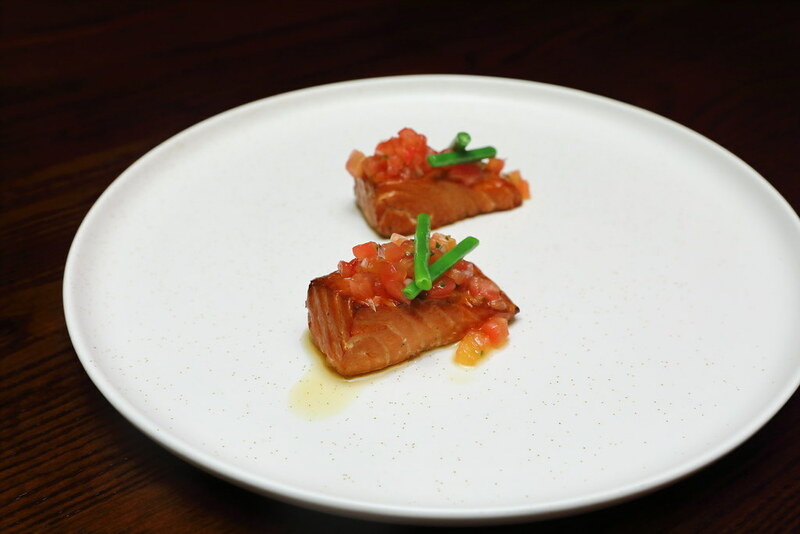 Mentioned earlier the restaurant also offers seafood on the menu such as the Hot Smoked Salmon ($24) topped with diced fresh tomatoes. While I love the smokiness from the cherrywood chips but I thought the texture was a bit dry due to the cooking. I still prefer my piece of the salmon to be more pink in colour. for that moister texture. Giving a feminine touch to the restaurant is the Seasonal Hassun ($32), a traditional kaiseki style starter using seasonal ingredients. 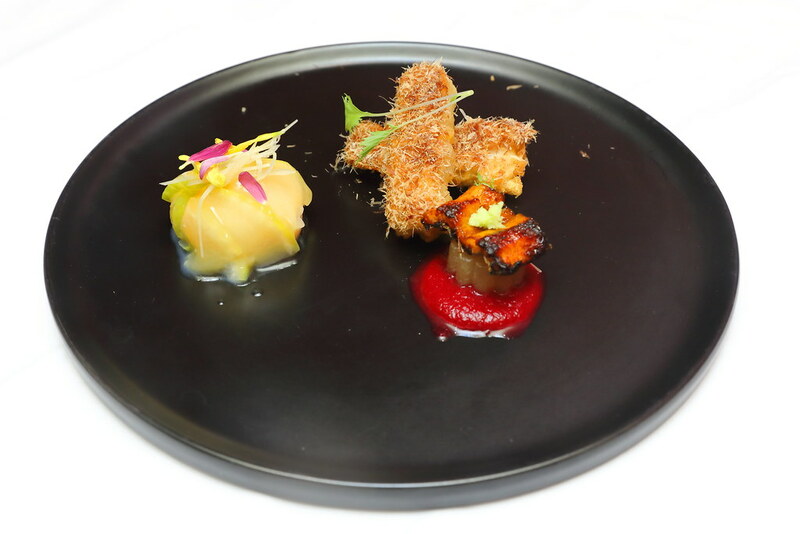 On the plate, we have Japanese Tomatoes with Plum Sauce, Lotus Root Tempura topped with Bonito Flakes and Unagi on Daikon and Beetroot Puree. 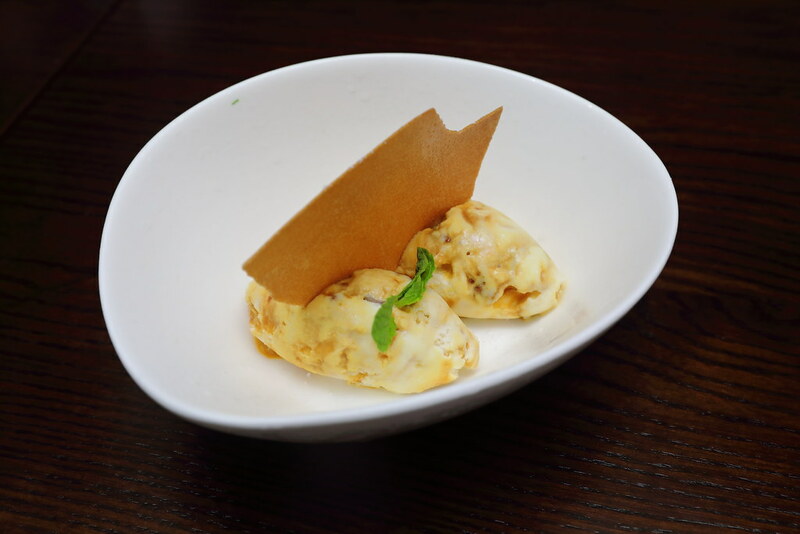 Beautifully plated and thoughtfully put together for guest to enjoy a combination of flavorus and textures. What is actually Ocean Beef? It is started by ANZCO Foods, a New Zealand-based meat company specializing in premium-quality New Zealand beef and lamb. 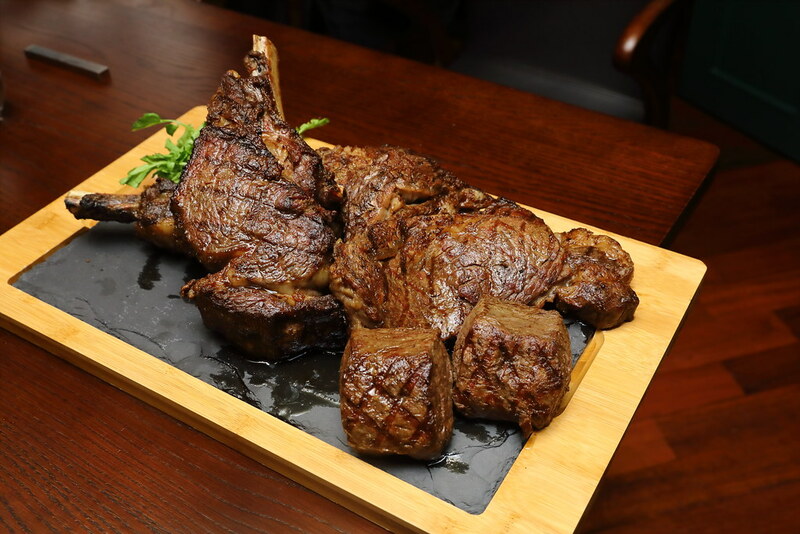 The concept behind Ocean Beef was to develop beef that achieves the perfect balance between marbling and leanness, while retaining natural juiciness and an intense beef flavour. The cattle are grass-fed for 18 months on the lush green, high-protein pastures in a stress-free environment to develop a muscular form, and then finished on specially formulated wheat, barley and maize-based feed for 4 months. 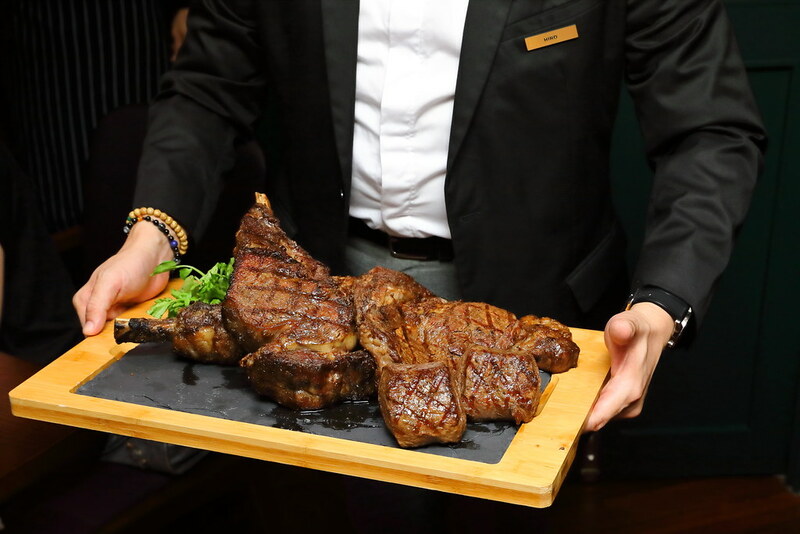 To taste the difference of the different beef, we had the Ocean Beef Bone-in Ribeye ($199 for 1Kg), Ocean Beef Ribeye Cut ($79 for 350gram/ $109 for 500gram) and Canterbury Grass-fed Fillet ($78 for 250gram/ $138 for 500gram). Among us we have our own preference and I prefer the Ocean Beef Ribeye Cut for its sweeter flavour. For those that likes a stronger beefy and earthy flavour, then the Canterbury Grass-fed fillet will be your choice. Earlier we had the lamb chop and you think it is not sufficient, you can go for the WAKANUI Spring Lamb ($42 half rack/ $82 full rack). Wow the lamb rack is nicely cooked, I would preferred the lamb chop because I will get the sear on both sides and I also find that there is lesser fats. Moving to the dessert, we started with the Hokey Pokey Ice Cream ($14) which consists of housemade vanilla ice cream with caramel brittle. For those that is not familiar, hokey pokey is a flavour of ice cream from New Zealand. It actually means honeycomb toffee in New Zealand. Unfortunately I am not a big fan of Pavlova ($14) as I find the dessert itself is too sweet for me. 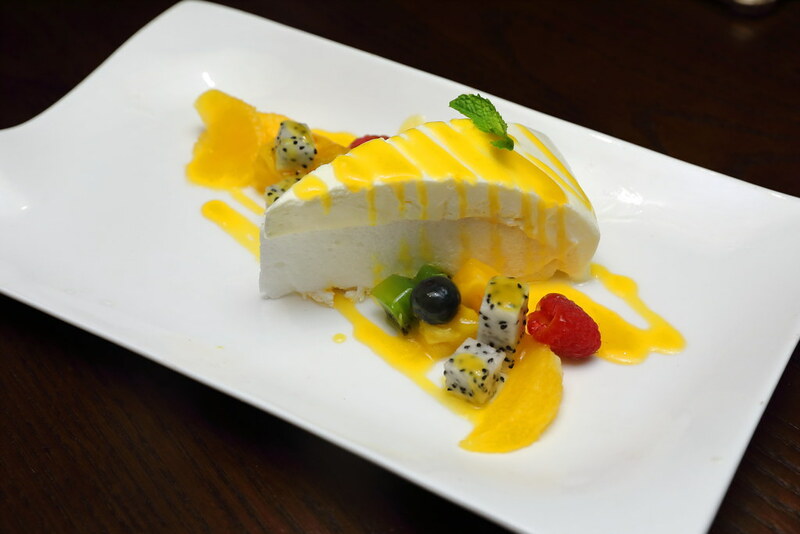 If you have a sweet tooth, then you will enjoy the pavlova with chantilly cream, passion fruit sauce and mixed fruits. I actually enjoyed the Baked Rare Chocolate Cake ($14) most among the 3 desserts. 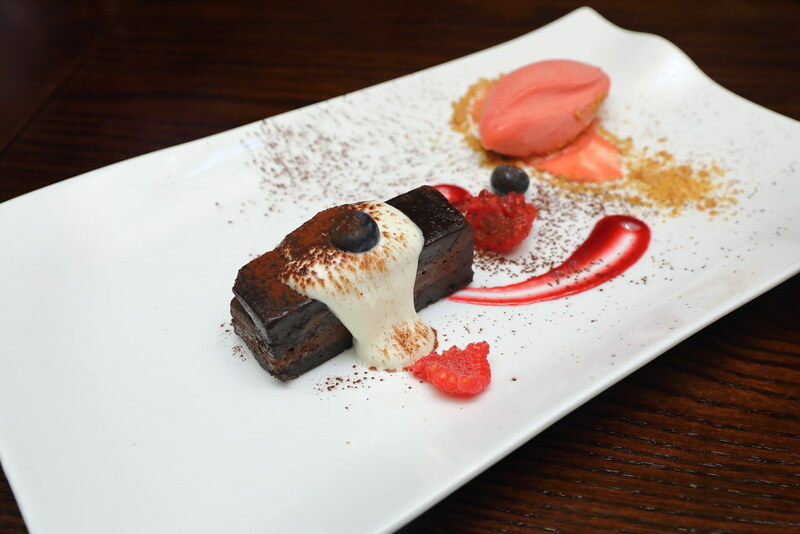 The richness of the bake chocolate cake is perfectly balanced with the tang from the strawberry ice cream. WAKANUI Grill Dining is a culinary experience enjoyed in a quiet oasis, where the views of the lush central gardens of Marina One provide a welcome respite from the bustle of city life. Pricing maybe a bit on the steep side but the dry-aged beef and lamb here are top quality and well executed.